Our Christchurch office recently participated in a planting day to support the Ōtamahua/Quail Island Ecological Restoration Trust in its efforts to restore native vegetation on the island. Ōtamahua / Quail Island is in the middle of Lyttelton Harbour on Banks Peninsula. By assisting with restoration planting, the team was helping the trust restore a small part of the once great Banks Peninsula forest. The team planted around 500 plants, including kōhūhū, tī-kōuka, tōtara, kānuka and mānuka, before enjoying the opportunity to take a guided heritage walk around the island to learn a little more about its rich history. 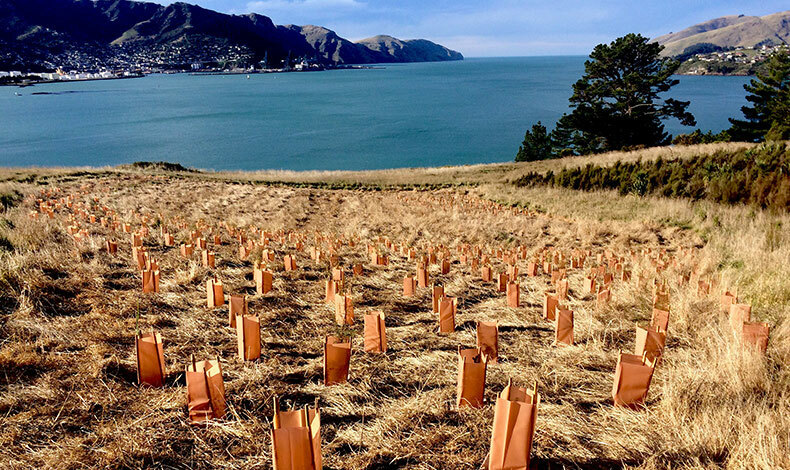 A key objective of the Ōtamahua/Quail Island Ecological Restoration Trust is to restore the native coastal forest and fauna on the island and provide a refuge for locally extinct, or rare and endangered species of Banks Peninsula. A small number of species have already been released onto the island and it is hoped that, in time, other rare plants and animals of the Canterbury region will be able to thrive there, in a place that is accessible to all who wish to see them.